News news news! 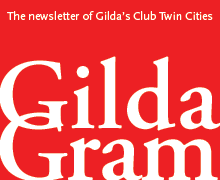 Read about all of the exciting changes at Gilda’s Club Twin Cities in this month’s Gilda Gram. From New Member Meetings to yoga classes, take a look at the Class Schedule to see what’s happening at the clubhouse. Stay in touch with our healing community. Receive exclusive updates on news, events, stories of hope, resources and more. Join our mailing list. 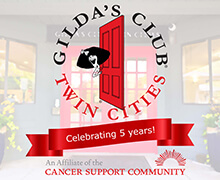 Support the hope, healing, and humor of Gilda’s Club Twin Cities. Donate today and help make Gilda’s Club available for those who need it most.